Herb Alpert & The Tijuana Brass - Collectors Edition [3CD Box Set] (2007) | Free eBooks Download - EBOOKEE! Posted on 2014-01-10, by interestinglike. 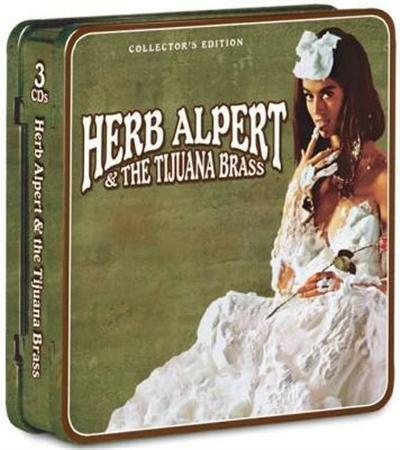 The Herb Alpert & the Tijuana Brass Collector's Edition 3 CD box is a perfect introduction to the best work in the Tijuana Brass Catalog. The three core albums of the TJB output are gathered here: Whipped Cream & Other Delights, Going Places! and What Now My Love. Originally released in 1965 and 1966 and containing the most loved and requested Herb Alpert hits like A Taste Of Honey, Tijuana Taxi and Spanish Flea, the remastered versions (complete with 2 "surprise" bonus tracks) are also flawless sonically. A 12 page booklet with a well written biograpphy and several unpublished photos from the group's latest period in 1969 is a welcome addition. 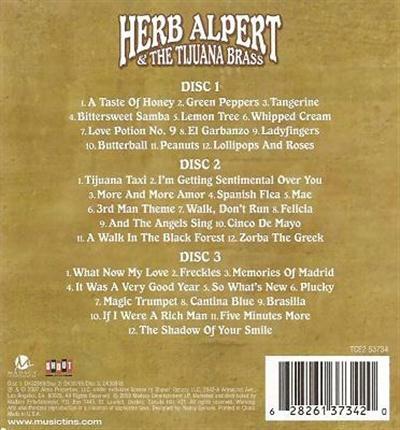 No comments for "Herb Alpert & The Tijuana Brass - Collectors Edition [3CD Box Set] (2007)".